Traditional white finish outdoor gate post or pedestal light, with a single lantern head mounted on a ridged fluted base. 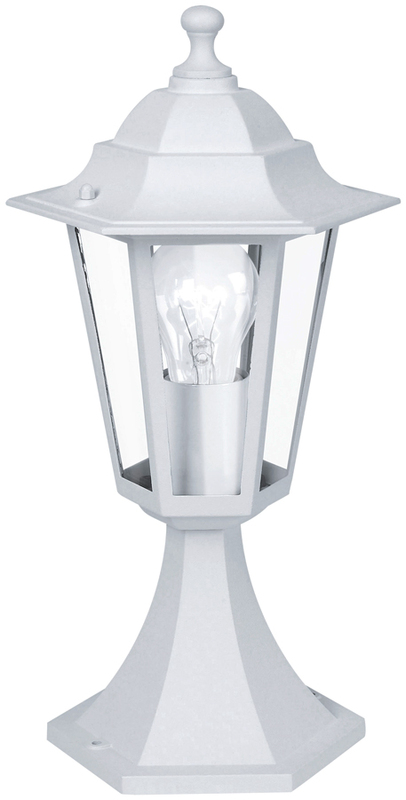 An IP33 rated outdoor gate post or pedestal lantern constructed from powder coated cast aluminium with a three year finish guarantee. Will accept a low energy light bulb.